The DNA Relatives feature can identify relatives on any branch of your family tree. It does this by taking advantage of the autosomal chromosomes - the 22 chromosomes that are passed down from your ancestors on both sides of your family - and your X chromosome(s). Learn more. 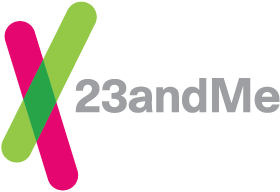 Relatives are identified by comparing your DNA with the DNA of other 23andMe members who are participating in the DNA Relatives feature. When two people are found to have an identical DNA segment, they very likely share a recent common ancestor. DNA Relatives uses the length and number of these identical segments to predict the relationship between genetic relatives. Generally long stretches of identical DNA indicate a recent common ancestor and therefore a close relationship. Learn more.